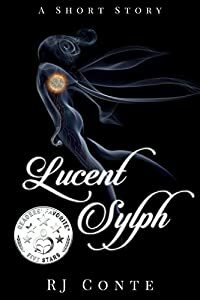 Winner of the prestigious Reader's Favorite 5 Star Award, and Finalist in the Reader's Favorite Short Story/Novella Contest! "I Want more. Milani is the next powerhouse of sci-fi." Marion Pagano. Death is never more than an airlock away for the denizens of Hell, the last deck before the Void on the last station in human space. It’s a place where justice is for sale and slavers hawk their human merchandise to the highest bidder. But to Rick, a scarred, bitter Lupan warrior, it’s home – or at least the one place in the known universe where he can ignore all the death warrants on him throughout the rest of the Commonwealth. It’s also the place where a few drops of the most precious liquid in all of human space can buy him a berth on the last ship back to his birth world. Until a mysterious, vaguely familiar woman walks into the dive Rick runs. And brings his deadly, ugly past in with her. Somehow Rick must unlock the secrets she carries. Because if he fails, he will lose far more than just his life. 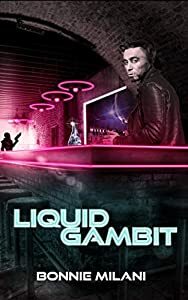 "Liquid Gambit is a futuristic thrilling adventure; with suspense so strong, I wasn’t sure what was coming next." Boundless Book Reviews. 2018 Readers Favorite Bronze Medalist! 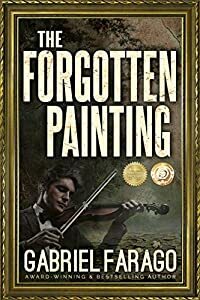 >>>From multi-award-winning author, Linda Watkins, comes a story of two women, from different walks of life, and the one dog who loved them both. 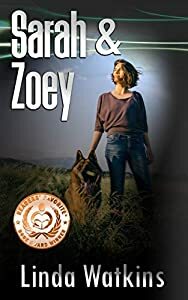 >>>Sarah & Zoey is the tale of these two women and the one remarkable dog who saved them both. It is a story of the power of unconditional love. BOOK DESCRIPTION: First Contact has never been easy. Despite the rumors, the US Government has been able to deny First Contact with an alien race for decades, but with good reason: it hasn't happened yet. 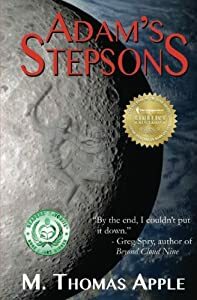 When a strange signal comes from an isolated area in the forests outside of Seattle, they find that First Contact is not going to happen with big ships and grand world-wide messages. Aliens, it turns out, like to keep their existence quiet. Breaking a great number of rules, Seattle's resident alien has come back from a quick trip to his home planet to talk to his human wife. He just happened to land too close to a military base. Now, he will tell her the truth, even if he has to do it behind a glass wall and with the military between them. 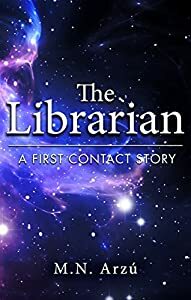 The Librarian is a contemporary short novel set in Washington State and dealing with first contact with an alien species unlike anything else in modern science fiction. Scroll up and purchase your copy today! 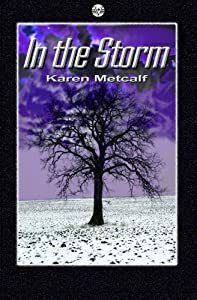 In The Storm is a unique, enthralling, and heart-breaking young adult contemporary science fiction fantasy from Karen Metcalf. 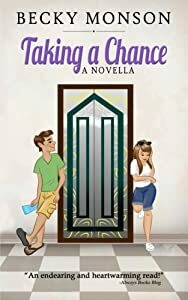 Buy now and get a free Kindle book download with paperback purchase via KindleMatchbook! Most of this town -- my tomb -- consists of fields and woods and is deathly quiet. I pray for thunderstorms; they are my only escape. I get lost in them, and, for those precious minutes, I am anywhere but here. And the thunder disguises my crying. I sit at my open bedroom window, watching the curtain flutter, and enjoy the rain. I smell the recently mowed grass and the steam from the asphalt as it cools. The pine trees are swaying, and I like the quiet rustle of their needles. They are the words of comfort I get nowhere else. The breeze toys with my hair, brushing it from my shoulders. It is an arm consoling me that belongs to no one. When my own storm of tears is over and the thunder ceases, they will disappear again but will tell no one my secrets. The lightning brightens the entire world for seconds at a time. It is a purple world and more beautiful than the real one. The leaves are a more vibrant green than any daylight has ever exposed. It is a glimpse of an alternate dimension, one in which I wish I lived. Sometimes the flashes freeze the raindrops mid-air and time stops. I wish it would stop forever, allowing me to stay in this other world. Unfortunately, the storm will pass in another half an hour, and I will be left alone again. Luckily, it is the season for them; I will have this escape often in the coming months. This is the only bearable part of the year. My brother Mitch is curled up on my bed, thumb pulling at the corner of his mouth as it has fallen away as he sleeps. He is eleven years younger than me, only five years old. His eyelids flutter with the thunder. I watch his cowlick bobble in the breeze. As his sister, I am his only source of comfort, just as these storms are mine. These opportunities, however, allow me to bring him with me to this alternate world, and, for that, I am grateful. When Leaves Fall A Different Point of View Story Ralph wakes up to what others only experience in a nightmare. Chained to a shed, he has no idea where he is, or who his captor is. His memories are blurred at best. As the days press on, he finds himself experiencing a roller coaster of feelings. Hunger, thirst and pain become his only companions. Flashbacks of a happier time are all he has to keep him going. 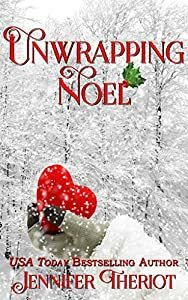 As his situation deteriorates, he finds himself doubting he ever had the very thing he wants most - a family. 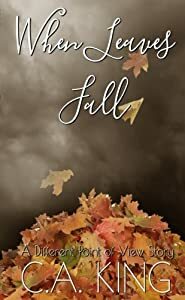 When Leaves Fall is a dramatic thriller with a twist. Keep the tissue box close for the ending.